My trip to the Philippines has begun! Since so many people helped make this possible, I thought I'd keep a travelogue throughout, documenting my experience, the artwork I create and the people and places I see. 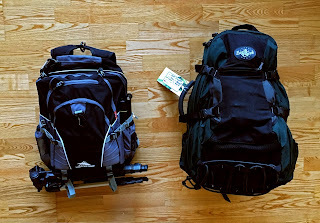 I figure a good first post is to talk about the gear I packed for the trip. 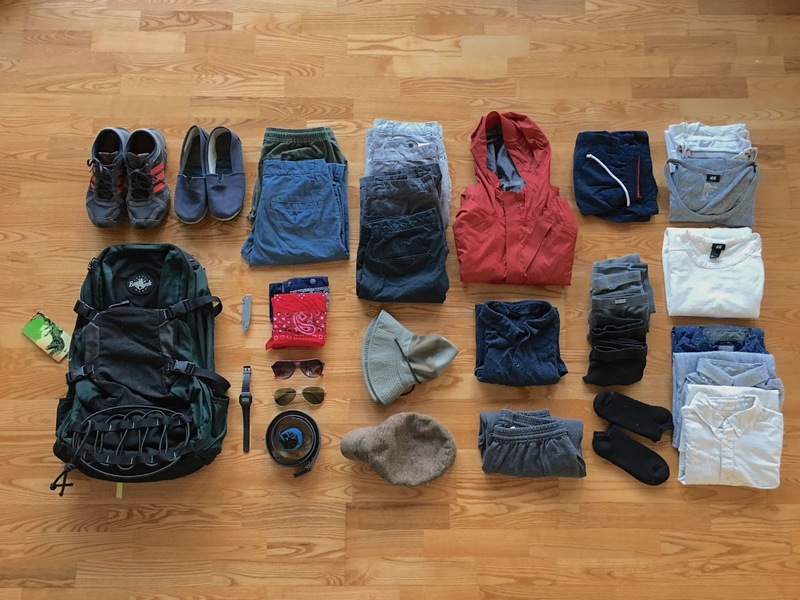 I made a few grids that illustrate my thinking behind what and how I packed. As this is a work trip, my art supplies are most important. 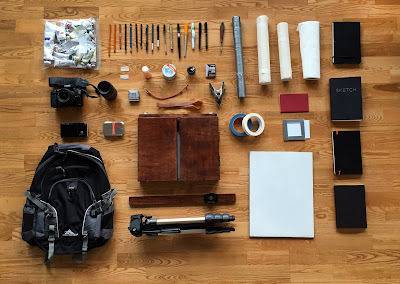 I first gathered everything I'd need to paint, draw and sketch while abroad. When I was in Brazil, I found that my sketchbook got the most time, and I filled an entire moleskin and burned through all the ink I brought with. I had packed gouache to paint with but only got a couple small sketches started. This time around I'll be painting en plein air, as they say. I've got so many heroes that just kill it at painting outdoors on location, so I have a high bar to match. Just take a look at Ken DeWaard's wizardry. When painting in the studio, I have quite a lot of gear to choose from that I have amassed over years painting. Tons of colors of paint, cans and cans of brushes (some still usable), oils, alkyds and gels of every make and viscosity, and numerous different surfaces depending on the size and dimensions I fancy. On this trip, I will have to carry everything I want to use. Plein air painters are masters of packing lightly yet wisely. I am not. But I have gradually developed a kit that's minimal and full-featured after painting at figure sessions over the years. Everything else I brought along is secondary. Aside from maybe my contact lenses and glasses. 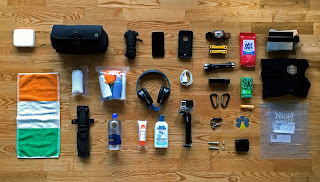 So below I'll show what gear I packed, and then I'll explain a few of the choices I made and items I brought. I didn't manage to get the images numbered so you'll have to do a bit of deduction. turns your view into a paint by number. I was too cheap to buy one so I made it out of mat board and duct tape. Panel, I'll tape my canvas to this. I primarily use the parallel pen for loose gestural sketching, whether I'm at home, on the train or traveling. Since it's made to be a calligraphy pens, I can get a lot of various line weights and qualities out of it in order to quickly capture different values and shapes. When using this I keep my approach very relaxed and lyrical, not concerning myself too much with capturing exact likeness or proportion, instead focusing on gestures and overall impressions and composing my values and other elements using, hopefully, graceful and expressive line work. Rolls of canvas in various widths. I can just cut off pieces as I need them. Loose canvas will save a ton of space and weight over canvas panels, and I can mount them when I get back to the studio. Here is all of the clothing related gear I packed for my just-over-three-weeks of travel. Of course, I needed to pack light while being prepared for a variety of activities. Backpack. An Eagle Creek backpack I bought for my first backpacking trip to France, Germany and Ireland in 2001. It's been on almost every single trip I've taken since then, including New York, San Francisco, the American southwest, Montana and the Rockies, Ireland, Ireland again, and Ireland a few more times. The company has long since changed the design of the bags and if I ever have to find a new bag it will be tough to match this one. It has a big kangaroo pouch on the back for attaching a day pack. Not the most ultralight solution to be sure, but since the daypack is now used for carrying mostly sand and dirt but also the rest of my dog's outside toys, I just cram extra stuff or dirty clothes into the pouch and strap it shut. Toiletries kit, including standard stuff like teethbrush, contacts, glasses, deodorant, etc. I also took spare contact lens cases and filled them with things I might only need a limited amount of, for instance pills, hair product, and lotion. Super Sunscreen, since I couldn't find any theater greasepaint at the last minute. Even Super-er sunscreen imported from some Saharan nation. Gotta keep the skin unexploded. Seriously though, I burn very easily and since I anticipate a good amount of standing in the sun and swimming, I have to stay protected. On a related note, does anyone know how to remove sunscreen smell from clothes? A little terry cloth Irish flag my mom gave me before my first trip abroad. It's gone with me on every single trip since. Finally, all of the above packed into two backpacks. 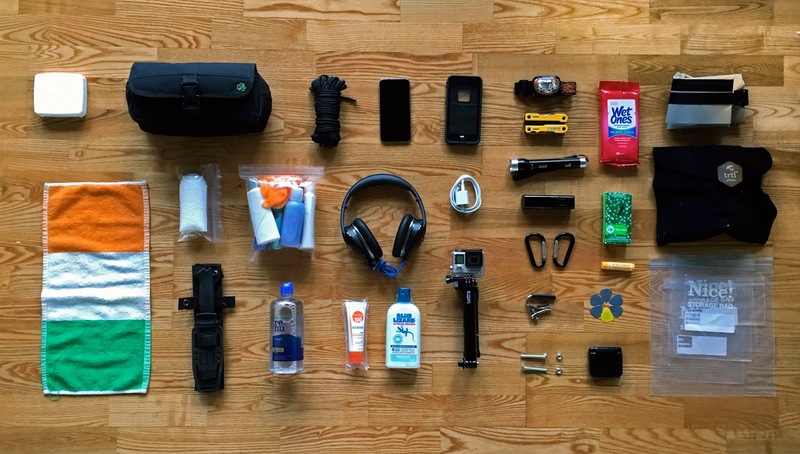 This is what I will be carrying with me for three weeks in the Philippines. 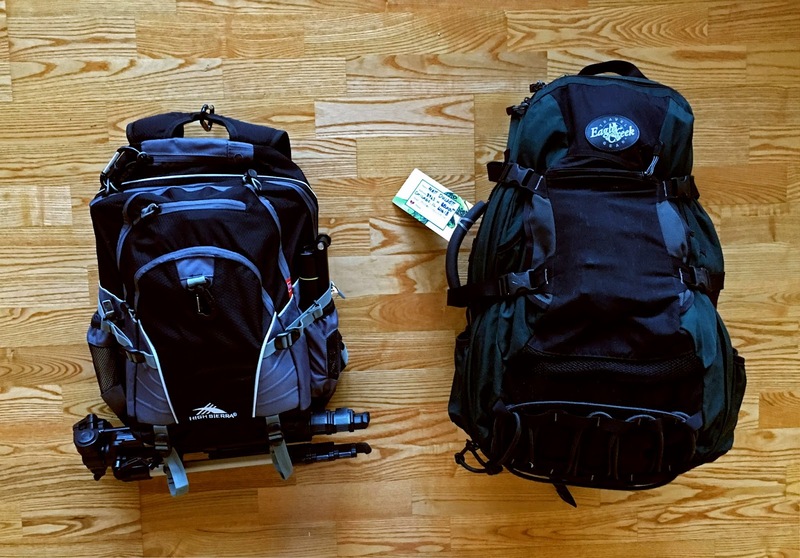 One bag weighs 32 lbs, the other weighs 20. The smaller one will get lighter though, as I will pack it with only essential gear for that day's painting and leave the rest behind. I can't wait to put this gear through the ringer and figure out what works, what doesn't, and what was unnecessary. Have any critiques or tips? I'd love to hear them.